Burgess House in Caston, near Attleborough sleeps 12 people. Burgess House near Attleborough is a detached holiday property which you’re sure to adore. 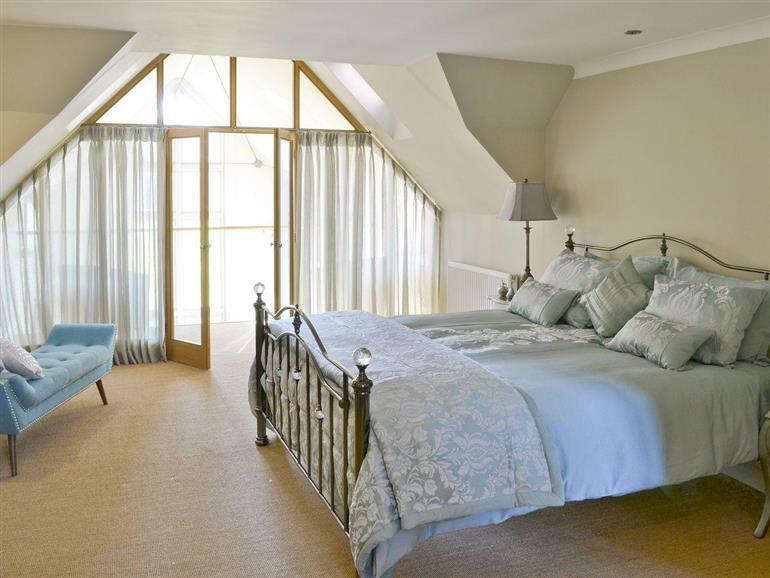 Burgess House has been converted with a contemporary twist to offer spectacular views of the rural surrounds, styled and furnished for discerning guests boasting large enclosed lawn garden leading to meadows with ponds and lake. Private electronic gates with a long drive leads to the property through the meadow land with grazing cows and horses. The spacious living accommodation offers a living room with wood-burning stove. It is said that the kitchen is the heart of the home, this is very true of this house, perfect for family celebrations and dining together opportunities, the spacious well-equipped contemporary kitchen/dining room boasts plenty of light and opens to the large patio with a 6-seater hot tub and enclosed lawn gardens. There is a bedroom conveniently on the ground floor, and the high quality furnishings continue to first floor with four further bedrooms; complete with a magnificent spacious master bedroom with own balcony with seating area, a dressing room and en-suite. 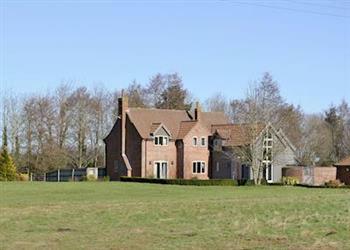 Caston is a village in the Breckland area, with excellent access road routes to explore Norfolk. It is situated 4 miles from Watton and 6 miles from Attleborough, each having supermarkets, shops, cafés and restaurants. Visit the amazing North Norfolk coastline with excellent sandy beaches, coastal path, RSPB nature and bird reserves which are 35 miles away. Also close by, visit the Sandringham Royal Estate, 32 miles, and 20 miles away is the city of Norwich, with many shops, a cathedral, theatre, castle museum, market square, cafés and restaurants. Wroxham, the capital of the Norfolk Broads, is 34 miles away, with daily boat hire and river trips, shopping and waterside restaurants. Also worth a visit is Holt, 32 miles, and Wells-next-the-Sea, 36 miles, with a picturesque harbour, excellent sandy beach and town centre. Newmarket and Cambridge are both within an hour’s drive, and the local National Trust properties including Blickling Hall and Oxburgh Hall should not be missed. For adventure and activities, Thetford Forest is 12 miles, where you can hire a Segway and there are designated walking and cycle routes for all abilities and picnic areas. For the kids, Banham Zoo is only 9 miles away, and Melsop Farm Park for petting animals and children’s adventure play area is just 2 miles. There is also a swimming pool 10 miles away. Explore Grimes Graves, an interesting, Neolithic flint mine, 10 miles away, and Castle Acre Priory ruins, 14 miles, is a preserved monastic site. Enjoy a ride on the Bressingham Steam Railway, 12 miles, and explore the steam collections and official Dad’s Army exhibition. Norfolk Tank Museum at Forncett St Peter is 13 miles. The shop is 2 miles, with the pub and restaurant ¼ mile from Burgess House near Attleborough. Entrance hall. Spacious living room with wood-burning stove. Spacious kitchen with dining area, TV and doors leading to patio area. Utility. Double bedroom with 6ft zip and link bed (can be twin on request) and TV. Shower room with toilet. First floor: Double bedroom with 6ft bed, TV, dressing room, doors to balcony and en-suite shower room with toilet. Further double bedroom with 6ft bed. Two twin bedrooms. Bathroom with bath, shower cubicle and toilet. Two additional single day beds (for +2 children). NB: Two unfenced ponds and large unfenced lake in grounds. For a better idea of where Burgess House is, you can see Burgess House on the map below. Burgess House is in Norfolk; should you be on the lookout for a special offer, you can find all the special offers in Norfolk. It's always worth checking to see what is on offer at the moment. Do you want to holiday near Burgess House (UKC56), you can see other cottages within 25 miles of Burgess House; have a look to find your perfect holiday location.